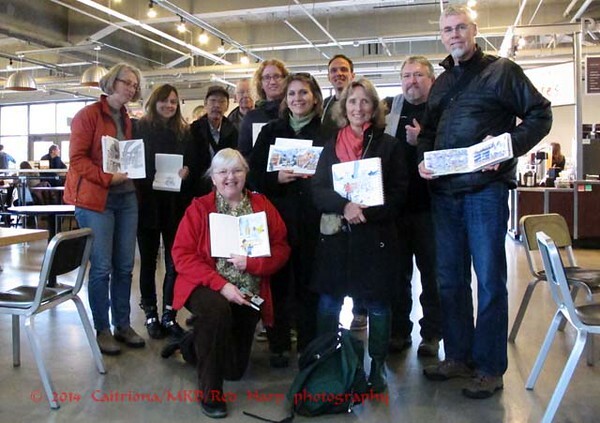 Seattle Urban Sketchers meet for the December outing at the Winterfest, indoors at the Seattle Center Armory. When we started at 10am, it wasn't too crowded. 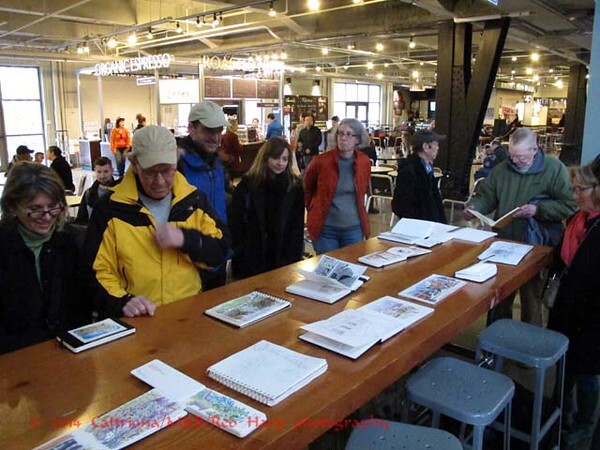 As the morning went on, more and more people came and it became a challenging sketching environment. 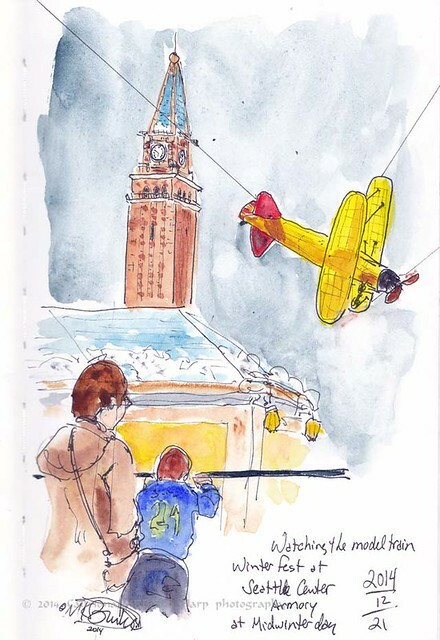 But I managed to do a sketch of what interested me most about the huge model train village... the clock tower and the biplane. 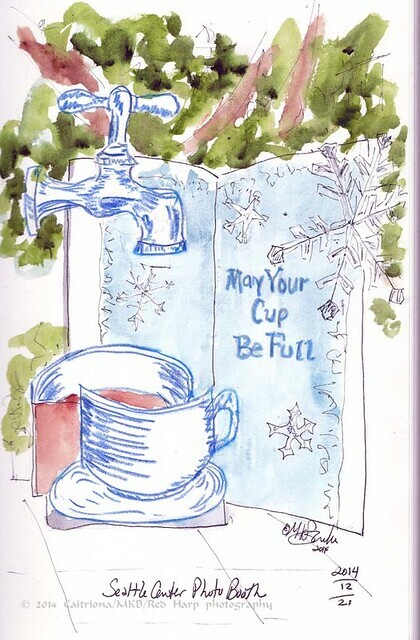 I walked around a bit outside as it was dry and mild. I saw this odd little photo booth. We had our sharing and group photo. 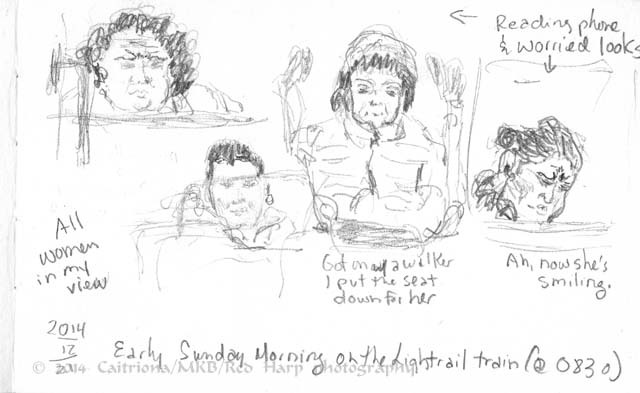 I'd boarded the light rail at 8:30am, so it wasn't very crowded and I could comfortably sketch my fellow passengers.